"This is guaranteed fun. Amazing for bringing people together and sparking creativity and camaraderie. Try it once and I promise you will go back for more. The games are so intricate and well thought out. Escape City you rock!" "I love supporting local companies, and this one is a sure bet to succeed. The rooms were incredible, the attention to detail and artistic settings were by far the best I've seen. In addition, the staff was welcoming and engaged with our group. If you want to get hooked on escape games, this is the place to start." "Without giving anything away, I'll say that there were lots of very clever and well-designed surprises in the room, and that the puzzles were also unique, varied and fun to solve. They clearly put a lot of work into both the functionality and decoration of the room, and because of that it was a very immersive experience." 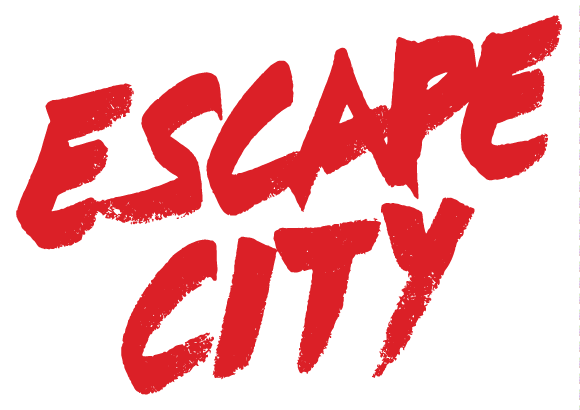 "At Jobber, we were looking for a unique team building activity for our growing marketing team—we checked out Escape City and it was awesome. Escape City has challenging puzzles, fantastic set designs, and it’s a lot of fun!" Nick is the Director of Marketing at Jobber, an Edmonton based software company that helps home service business be more successful. "My success rate for escaping escape rooms is so low, but I always have sooo much fun! Escape City is the best in Edmonton (they're all great, but I recommend Escape City first, always!) Unbelievable set/production design, and the coolest puzzles". Linda is an Edmonton-based food, social media and lifestyle blogger. You can learn more about her here.